Comet 4-Light Off-Set Semi-Flush in Brushed Steel (BS) with Opal (OPL) Glass by Access Lighting at Historic Charles Street. MPN: 52035LEDD-BS/OPL. Hurry! Limited time offer. Offer valid only while supplies last. 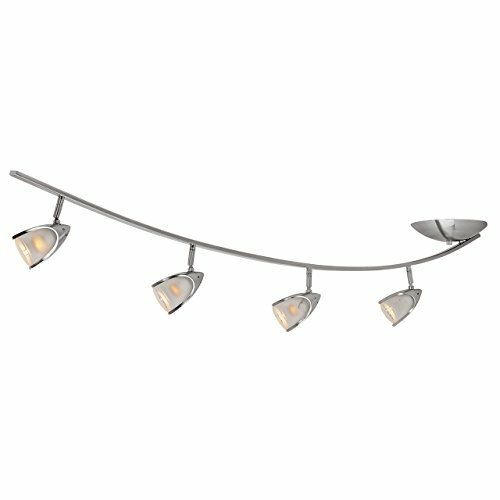 ACCESS LIGHTING 52035LEDD-BS/OPL Comet 4-Light Off Set Semi-Flush, Brushed Steel. Product Name: Comet. Finish: Brushed Steel. Shade Color: OPL. ACCESS LIGHTING 52035LEDD-BS/OPL Comet 4-Light Off Set Semi-Flush, Brushed Steel. Product Name: Comet. Finish: Brushed Steel. Shade Color: OPL. Fixture Material: Metal. Shade Material: Glass. Bulb: (4)5W GU-10 Base LED, 3000k, 1000Lm(Included). Item Dimension(in): 13.75(H) x 53.5(L) x 13.75(Overall H.) . Canopy Dimension(in): 1.5(D) x 7.5(Dia.). Certification: C ETL US. Location: Dry. If you have any questions about this product by Access Lighting, contact us by completing and submitting the form below. If you are looking for a specif part number, please include it with your message.